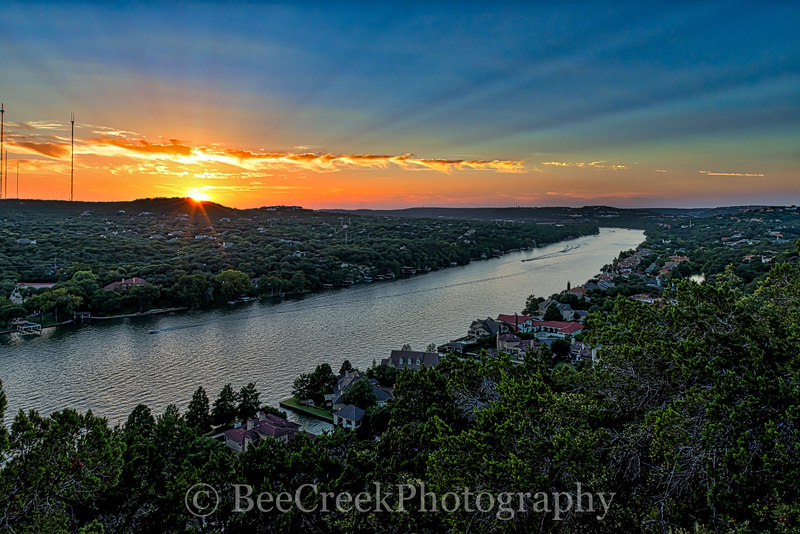 Mount Bonnell Sunset- This is another capture from Mount Bonnell in Austin at sunset. This scenic vista overlook of Lake Austin and the city of Austin. Mount Bonnell is a great spot for locals and tourist to watch the sunset looking west towards the Pennybacker Bridge or looking east to the downtown skyline. The walk up the stair can be a little difficult for some but it is worth the view. You can take a picnic and enjoy the view of the city or the sunset all from Mount Bonnell. Photo © copyright by Bee Creek Photography - Tod Grubbs / Cynthia Hestand.